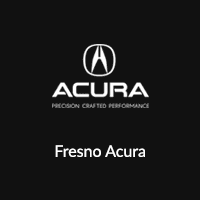 Car shopping for a new Acura in Fresno? Look no further than the new vehicle inventory at Fresno Acura. Acura vehicles offer luxury styling, comforts, and safety features for a price you wouldn’t expect—that’s what makes them such great options for car shoppers. Additionally, Acura vehicles, from the popular TLX to the fan favorite RDX, can take your Clovis commute to the next level and are known for their excellent safety scores and fuel-efficiency ratings. So, you can enjoy upscale features without paying a fortune, or sacrificing safety and fuel economy. Check out our current offers! Why Buy a New Acura Vehicle from Fresno Acura? Contact us to get the process started and schedule a test drive near Madera and Visalia!